Mocast has a streamlined UI for listening to podcasts simply; no nested levels, no ‘Now Playing’ screens to escape. Find subscribed episodes by topic with the pinpoint description search feature. 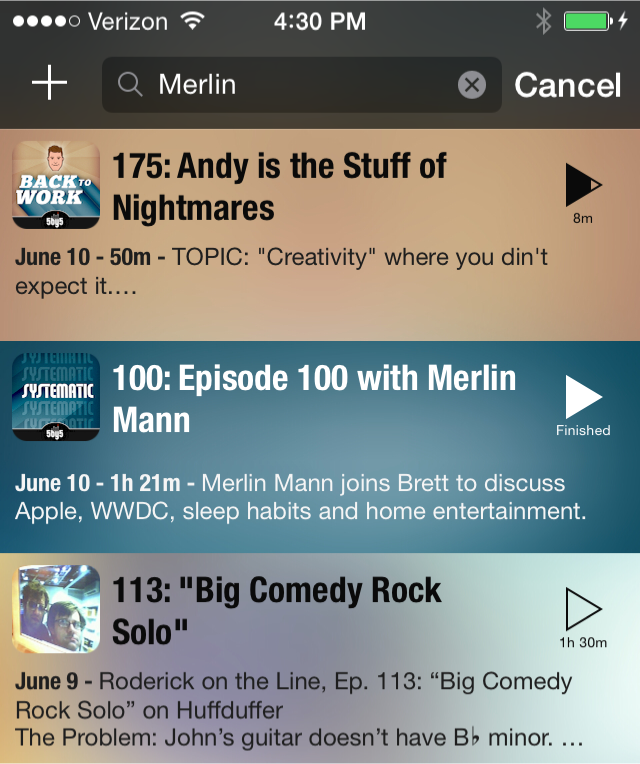 Add episodes to listen to later by managing your own podcast playlist. Now you’ll never miss an episode. Start up exactly where you left off. Mocast's disco theme adapts to your podcasts, looks great, and is easy to use. Copyright 2014 Krueger Systems, Inc.